Okay, I don’t endure hot flashes or other menopausal symptoms. However, would I really want to take an antidepressant for relief if I did? The scoop on Brisdelle. I was scanning the T.V. screens at the gym Sunday morning, while the elliptical was tearing my guts out. A headline caught my attention. It seems a new drug, Brisdelle, has been FDA approved for the treatment of hot flashes associated with menopause. What exactly is Brisdelle? It’s paroxetine mesylate. Paroxetine sound familiar? Well, there’s paroxetine hydrochloride (Paxil) and paroxetine mesylate (Pexeva) – both are selective serotonin reuptake inhibitor (SSRI) antidepressants. You may have noticed, the only difference between the two is their inactive salt – hydrochloride vs. mesylate. For the record, Paxil is manufactured by GlaxoSmithKline, Pexeva by Noven Theraeutics. The same Noven Therapeutics that manufactures Brisdelle. 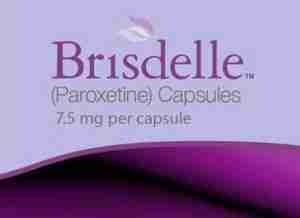 Brisdelle contains a 7.5 mg shot of paroxetine. Of course, the portion for Paxil and Pexeva is significantly higher. Now, what makes Brisdelle unique in the menopausal hot flashes treatment neck of the woods is it’s the first FDA approved nonsteroidal (estrogen or progestin) medication. But don’t think that was a slam-duck approval. This past March, the FDA’s Advisory Committee for Reproductive Health Drugs voted 10 to 4 against recommending approval. Those opposed submitted the drug’s minimal superiority to placebo didn’t outweigh the risk for suicidal ideation, osteoporosis, and other unpleasantries. Interestingly enough, the committee also voted 12 to 2 to put the kibosh on another nonhormonal hot flash drug remedy. That would be gabapentin, which already holds FDA approval as an anticonvulsant – Neurontin. Ultimately, gabapentin didn’t make the final cut. There are a significant number of women who suffer from hot flashes associated with menopause and who cannot or do not want to use hormonal treatments. The FDA went on to state paroxetine mesylate proved safe and effective in two clinical trials involving 1,175 postmenopausal women with moderate to severe hot flashes. Side-effects? Headache, fatigue, nausea, and vomiting were the most common. Of course, Brisdelle’s label features the standard antidepressant warning for suicidality. And the label warns clinicians that Brisdelle can reduce the effectiveness of tamoxifen (for breast cancer) if taken together. And let’s not forget a warning for the risk of bleeding and serotonin syndrome. Hey, no doubt, this is a positive development for women who suffer from menopausal hot flashes, and who can’t or don’t want to go the hormonal treatment route. I’m all in with Dr. Joffe’s statement on behalf of the FDA. However, I really have to wonder why Big Pharma continues to seek new FDA approvals for existing drugs. And antidepressants are all too often the drugs of choice. I mean, are the pharmaceutical companies that altruistic, wanting to do all they can to bring relief to the suffering masses? Or is it about profits? I’m just asking. For example, Noven Therapeutics’ patent on Pexeva (same drug as Brisdelle, but way lower paroxetine portion) expires June 2017. ‘Course, at that time a generic could become available. So is the introduction of Brisdelle driven by the fact that Pexeva’s patent will expire in four years? Is this about brand name profits? And how did Novena manage to get the FDA to approve the drug, in spite of its advisory committee saying “No way!”? Again, just asking. Look, I would never deny anyone the right to choose whatever they want to remedy what ails them. And that certainly applies to someone enduring hot flashes or other menopausal symptoms. I guess I just get suspicious when out of nowhere an antidepressant becomes a miracle drug for something beyond depression (actually, that’s an often over-hyped concept). Go ahead, take a walk on the wild-side. Many, many more Chipur articles are waitin’ for ya’! 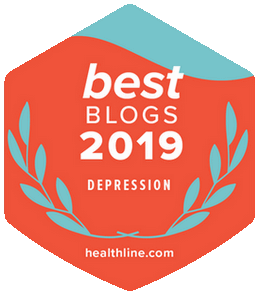 Next Post: Are You Depressed? Oppressive Fear and Anxiety? Happy Independence Day! 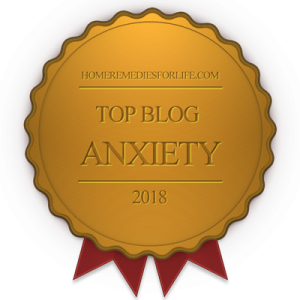 Previous Post: What to Do for Anxiety? “Benzodiazepines, of course.” Hold on There, Partner!